By John S. C. Abbott. 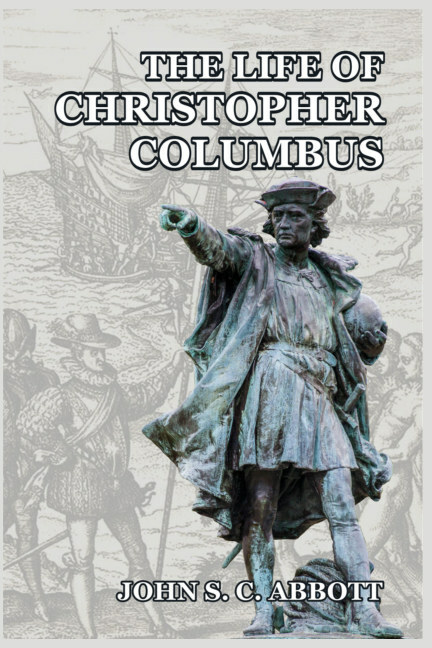 This is one of the most enthralling and all-encompassing biographies ever written about Christopher Columbus, the man who changed the course of world history with his voyages over the Atlantic Ocean. Renowned history writer John S. C. Abbott takes the reader on a no-holds-barred—and remarkably objective—ride from Columbus’s background and life, to his struggle in the courts of Portugal and Spain to gain acceptance for his radical idea of sailing west to reach the east—and the astonishing details of his four voyages to the New World and their aftermath. Abbott spares no detail in highlighting the bravery, achievements, and staggering feats which paved the way for European colonization of the New World. 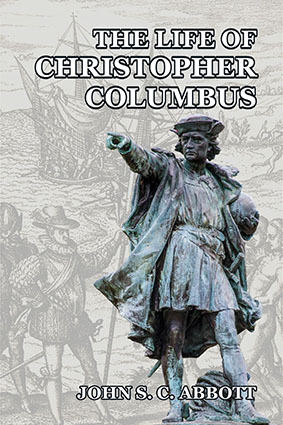 But he also deals equally dispassionately with the less savory aspects which followed the Spanish settlements—such as the fact that most of Columbus’s crews were criminals recruited only with the promise of pardons, the institution of slavery, and the resultant practical extermination of the Indians on the Caribbean islands. John S. C. Abbott (1805–1877) was an American historian, pastor, and writer. He and his brother, Jacob, were some of the most prolific popular history writers of their era, and together produced dozens of works for their New York City based Abbott’s Institute of Historical Biographies. Although trained as a theologian, John’s success as a writer—which closely matched that of his brother—meant that he devoted most of his life to the written word.